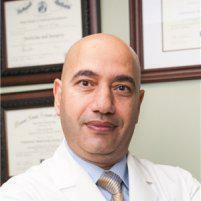 If you’re suffering from urinary issues like incontinence or pain, Mohamed Esiely, MD can provide an accurate diagnosis to treat your condition. At his family-owned practice, Health Wise Women in Hoboken, New Jersey, Dr. Esiely offers state-of-the-art diagnostic services like urodynamic testing to identify a variety of gynecological conditions so you can get the care you need as quickly as possible. Call Health Wise Women or schedule an appointment online today to learn more. Your urinary tract removes excess water and waste from your system. It’s made up of the kidneys, bladder, ureters, and urethra. The bladder is located in your pelvis and is held in place by muscles, organs, and pelvic bones. Coordinated muscle movements control the filling and emptying of your bladder and prevent urine from leaking involuntarily. When your bladder is full, nerve signals in your brain communicate with your bladder muscles, and your muscles force urine to exit your body through the urethra. Urodynamic testing is used to evaluate how well your bladder, urethra, and sphincters hold and release urine. There are several kinds of urodynamic tests. Some utilize imaging equipment to capture images or sensors that measure pressure or muscle and nerve activity within the bladder. Your symptoms determine the type of urodynamic testing needed. When is urodynamic testing necessary? Besides measuring your bladder function, urodynamic testing can also identify leaks or blockages in your lower urinary tract. What can I expect during urodynamic testing? Urodynamic testing typically doesn’t require advance preparation, though it might be necessary to modify your fluid intake or existing prescriptions beforehand. Dr. Esiely might also recommend arriving for your appointment with a full bladder. Based on the results of your testing, Dr. Esiely might suggest additional urodynamic tests or X-rays. For more information about urodynamic testing, call Health Wise Women or schedule an appointment online today.